Alex and Zoe are two kids who find themselves in an extraordinary situation. After stumbling across a magical portal hidden in the town library, they’re led to a parallel dimension, a sophisticated world called ANIMALIA. It’s a magical place dominated by talking animals. In the Metro Library, Alex and Zoe enter a strange portal that carries them to the talking-animal world of Animalia, where they are mistaken for invading monsters by the general animal population. 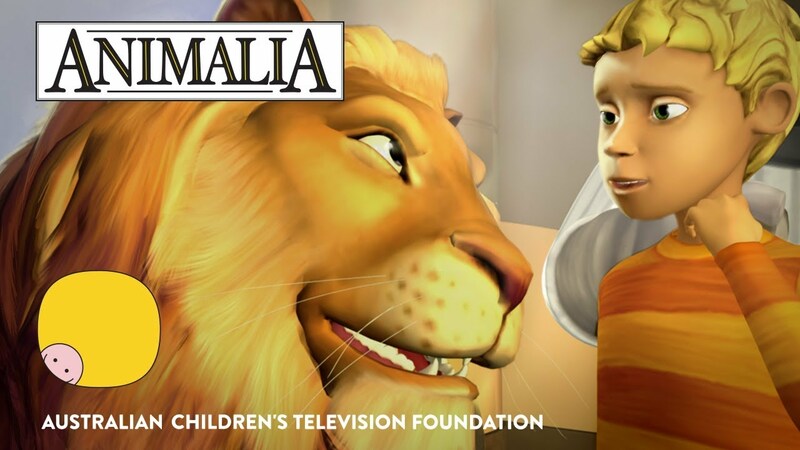 In this episode, we meet Animalia’s ruler, Livingstone, who befriends them and asks for their help in repairing the Core, the magic orb that is at the centre of Animalia’s well-being. Alex and Zoe are taken under the wing of gentle but strong G’Bubu Gorilla and his best pal, the boastful Iggy D’Iguana. We also meet the librarian Reenie, the Elephants, the Zebras, the Hogs, the Media Mice, and the series’ two significant trouble-makers: Allegra and Tyrannicus, who take an immediate dislike to the human arrivals. When Erno and Elni Elephant, who never forget anything, suddenly forget everything, Alex and Zoe go on a search for the Corespore, in a place where lost Animalian memories go: Memory Canyon. They discover ancient catacombs, where records of Animalia's long lost history are stored. Alex and Zoe find the Corespore in time to restore the elephants' lost memories, and in time to thwart Tyrannicus' latest plan to take over the kingdom. An important message is incorrectly communicated and Alex and Zoe must find the truth about Livingstone's disappearance. Livingstone tells Reenie he's leaving Animalia for the day to visit his Uncle Leo, but Reenie doesn't pay close attention, and she relays the wrong information to the others. This Animalia-wide version of the game "Telephone" results in pandemonium, and Tyrannicus takes advantage of the situation by arranging to have G'Bubu banished and having himself proclaimed king. Zoe travels to the land of Over & Beyond, a realm populated by fictional characters, to rescue Zed and Zee who have been captured by a fire breathing dragon named Dagmont. To rescue the zebras, Zoe must stay behind and entertain the dragon with her stories, like a latter day Sheherazade. Livingstone calls an Animalian meeting to reveal that The Creeper is back. Livingstone, Alex and Zoe journey into the tunnels to find The Creeper. However, The Creeper uses the Wind of No Return to foil the heroes’ attempts. Livingstone and Reenie are struck by the Glums, a rare Animalian version of what we call "the blues". If not treated properly, "the Glums" can are irreversible! There is only one cure for "the Glums", a good long laugh. But there's one problem in achieving that laughter: those affected with the Glums don't find anything the least bit funny! Alex, Zoe, G'Bubu and Iggy, in order to save Livingstone and Reenie, must crisscross the kingdom and search everywhere and everyone for... the funniest joke in Animalia! Alex bets Zoe that she cannot resist talking for one full day. It's a vow of silence. So, Zoe spends the day listening... to this amazing and magical world of Animalia, and she makes some new friends and some huge discoveries. In this episode, Zoe learns how to communicate with the sentient creatures of Animalia: the butterflies, the wasps, the crickets, the frogs, the fish, and other non-speak creatures... including the plants and trees. When Alex and Zoe share a meal with the Horrible Hogs at the Elephants' Eatery, the kids are appalled by the Hogs' awful table manners, crudeness and limited social skills. The Hoity-Toity toucan overhears, and puts a spell on Alex and Zoe, making them Neanderthal versions of themselves. The Hogs agree to help Alex and Zoe. Alex and Zoe join forces to write an original sci-fi story entitled “Tomorrow”. The story postures that “if the world is going to end tomorrow, what would you do?” Alex and Zoe learn that compromise is a big part of collaboration, even as the story gets out of control and Animalians believe they are doomed!